More often than not I have a running list of products that I'm really interested in trying, but haven't read enough reviews or seen enough of it around to figure out if I want to get it. I thought it would be fun to highlight some of those products and find out if you have tried them and what your thoughts are! Runway Ready: HUM Vitamins have been on my radar for quite some time! The one in particular that I want to know about is the Killer Hair and Nails! I take a biotin gummy right now and after about two months it stopped really working, so I'm interested to try this! Bumble & Bumble Hair Powder: I don't use dry shampoo that often mostly because I hate the white residue I get from other products. I am almost out of the Dove Dry Shampoo that I do really like, but this this Bumble and Bumble one might be the answer to my white residue prayers!! The reviews are sort of half and half - have you tried it? Orly Bonder: A few of you mentioned how wonderful this base coat was and with almost a 5 star rating it has to be good!! I'm hoping to pick this up sometime this week and looking forward to it becoming a holy grail product! L'Oreal Makeup Extender: I think we all know how amazing the Urban Decay setting spray, but when I was at CVS this past weekend I noticed the L'Oreal finishing spray and was wondering if it could live up to the UD one! I usually buy the travel size ($14) instead of the full size because I don't use it every day, but knowing that this costs at most $14 from the drug store for a 3.4 fl. oz. size it might be worth the switch! MAC Finishing Powder: Getting a translucent or finishing powder has been on my list for about a year! I just haven't really found one that I have wanted to try until I saw the reviews for the MAC Pressed Finishing Powder. I'm a huge fan of MAC products and I love their recycle program - if you have 6 empties of anything from their store you can return for a lip gloss, lipstick or eye shadow! The other Bb product that I use for dry shampoo doesn't leave much of a white residue so hopefully their other products would be the same? 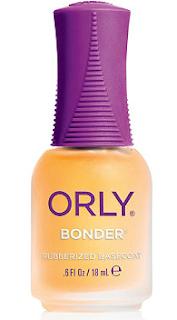 I think I need to try that Orly bonder!!! Thanks for sharing all of these products! Well I haven't tried any of these products so I can't really be any help there, but these all sound amazing! You must let us know what you think when and if you end up trying them!! Oh I love every single bumble & bumble product but I haven't tried their dry shampoo yet! Thanks for the heads up definitely want to add that to my next Sephora outing! yes the bonder! i painted my toes and the polish is STILL on chip-free too!! best. Let me know if you end up liking the vitamins! I was using biotin and had the same problem! Oh and let me know how you like the B&B dry shampoo. I have the same problem and I used the Batiste dry shampoo for brunettes and honestly I was not a fan. Looooove MAC's recycling program, however I haven't frequented there much in the past few years since they have no other incentives. But that finishing powder looks amazing, and I may need to pick it up myself! I haven't tried any of these, looking forward to see your thoughts on them when you try them. I've always liked b&b stuff, haven't tried the dry shampoo though! Might just have to! I haven't tried any of these, but I am super interested in those vitamins because I pop anything that will make my hair grow (with no luck.) I'm surprised I haven't tried the B&B dry shampoo/hair powder. I used to be intimidated by it before they changed the packaging (you had to actually dust it on yourself). I would love to hear your post on the things you haven't tried after you do next to this one! I get that white residue from dry shampoo too and I hate it. I thought maybe I was doing something wrong with it or using too much. I haven't tried any of these products either. I can't wait to hear your reviews if you try any out. I recieved the makeup finishing spray in my Target Beauty box and I love it! I have never tried any other finishing sprays so I have nothing to compare it to, but it works for me! I have the MAC finishing powder and I really like it. I usually use it when I do up my makeup heavier for events (ie foundation and concealer) and then add this on top - it really "finishes" the look! I've heard awesome things about B&B! I bet their dry shampoo is awesome! Can't wait to hear how you like the Origins! I want to try it too! I've heard fabulous things about the B&B line, I might need to try their dry shampoo. Ooh definitely curious about those hair & nail supplements, too. And I'm going to pick up the Orly bonder this week - anything that will help my polish stay on longer! Thanks for the ideas!! I have that same issue with dry shampoo! Am I doing it wrong? Everyone seems to love it, all kinds and I just can't get on board. If you do end up trying this one I would love to hear how it goes. Orly's Bonder is AMAZING! I love that stuff! Also, I just bought Toni & Guy's dry shampoo not too long ago and I really like it. It leaves a little bit of white residue if you happen to spray too close, but as soon as you brush through it, it's gone. And it smells delicious! I have used the Bumble and Bumble dry shampoo. I actually used it for a long time-it is great. I'm using Dry Bar's now. I also recently discovered a finishing power with an SPF. I put it in a blog post about beach products. It is Peter Thomas Roth. I'll be on the lookout for that base coat. Thanks! I love the Loreal setting spray - I don't even buy the UD one anymore! NYX also has a few great options that are even cheaper. 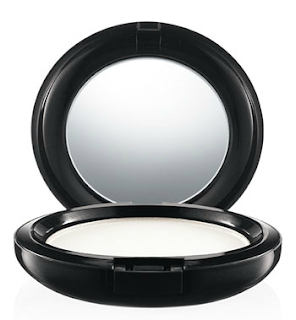 I had no idea MAC had a translucent setting powder - I'll definitely be picking that up! How sad is it that the only product I've heard of on this list is the dry shampoo?! I need to venture out with my product more!! I'm on the hunt for a finishing powder as well...looking at Bobbi Brown or Laura Mercier, except they are so expensive! I love a good dry shampoo - I don't use it too often but when I need it, it comes in super handy! I really need to check out that extender spray! Are you cheating on the Nars powder? You don't use that as a finishing powder? haha.I'm kidding. I use that as a finishing poweder under my eyes to set my concealer. All over my face, I use the La Mer one or the Trish McEvoy one. I really like both. I use the Skindinavia spray, they make the Urban Decay one but I find the one from them works better. I swear by it. I haven't tried any of these but now I want to! :) I only use dry shampoo about once a week (or less) but I have the Batiste one for dark hair and it works really well, no white residue! I've used that base coat before and it's great! It smooths out ridges and really keeps that polish on! If you're looking for a dry shampoo I really liked the Batiste hint of color dry shampoo. It didn't leave any light residue in my hair, but I felt like I could only use it once. One use was great, two is over the limit though! It looked greasy and flat. I really like the BB pret-a-powder. Yes, it's white but if you put it in while you're getting ready it works it's magic and makes your hair actually feel clean and it will stay like that for at least another day without reapplying! I actually am planning a visit to MAC soon! I haven't used their products in years but really wanted to get a new foundation or BB Cream and powder. I will have to check that one out while there! The white powder from dry shampoo drives me insane…I need to switch my brand so this doesn't keep happening. I hope that one works! I feel like I am in a rut with my beauty routine....I just grab the same stuff over and over. I need to keep a running list like you and actually try some new products out!!! I like the Orly nail bonder, it works pretty good and is what I tend to grab for most. Did you know that Batisite makes a dry shampoo for brunettes? It cuts down on that white look. I am going to have to look in to that Orgins product....it is hard for our age group who needs the anti-aging of older people with the power to fight acne of the younger group. until your post none of these were on my raider. I'm now really intrigued! 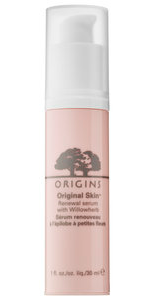 I am very, very curious about the Origins product. You rarely find skin care targeted to our age group. Dry shampoo has become my best friend. I used to wash my hair everyday but finally stopped about 6 months ago. Life changing for the thickness and weight of my hair for sure! 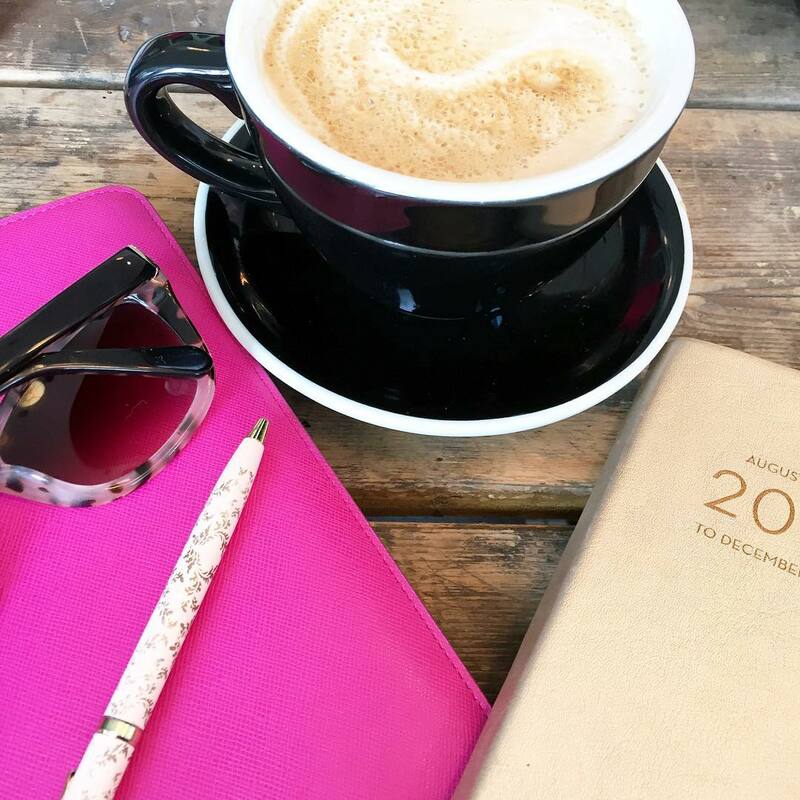 BTW - your feed is showing up on BlogLovin again :) ... now if they could get mine fixed! :( It's been a week!!! UGH! I'm about to open a brand new bottle of my Urban Decay Spray but plan on trying out the L'Oreal one next. I've not heard about that Orly Bonder but now I'm intrigued! I've been wondering about the Bumble & Bumble dry shampoo too. I hear that it could get messy though! I totally need to check out this Bumble & Bumble Hair Powder! Dry shampoo is literally my lifesaver, but I hate the white residue as well. Definitely checking into this!! Thanks so much for sharing and have a wonderful Tuesday! I swear by Urban Decay Setting Spray, but I do totally hate how much it costs--totally would be worth trying out the Loreal Brand!! Totally with you on the dry shampoo issue. Whenever I want to extend a blowout, I can never seen to find the ideal one. I'll be really interested to hear your thoughts about this one! Team Orly Bonder checking in! I find if I spray the dry shampoo (I use Not Your Mother's), then hit it with the blow dryer on cold that the white is sort of gone. I need to try the B&B dry shampoo, I hate the white residue other brands leave as well. I've been in the market for a new dry shampoo too! Let me know what you think of this one! I want to try that L'Oreal I have heard such great things! I have that MAC finishing powder and absolutely love it! I use it after applying liquid foundation and I love how it just sets everything so beautifully. I use the Suave dry shampoo - and it really only leaves a white residue as you are getting to the end of the can - then I just chuck it and get a new one. Setting spray - Hmmm... Always on the fence with this. I need to try the Bumble and Bumble for sure! Love these picks! I need to find a good dry shampoo. I also had NO idea about the MAC recycle program! My hoarder tendencies might pay off, as I've got a bunch of products that are almost (if not completely) gone! That dry shampoo is a miracle!! Let me know if you try that finishing spray, its been on my radar as well! I have an amazing giveaway, up on my blog, I hope you'll check it out! 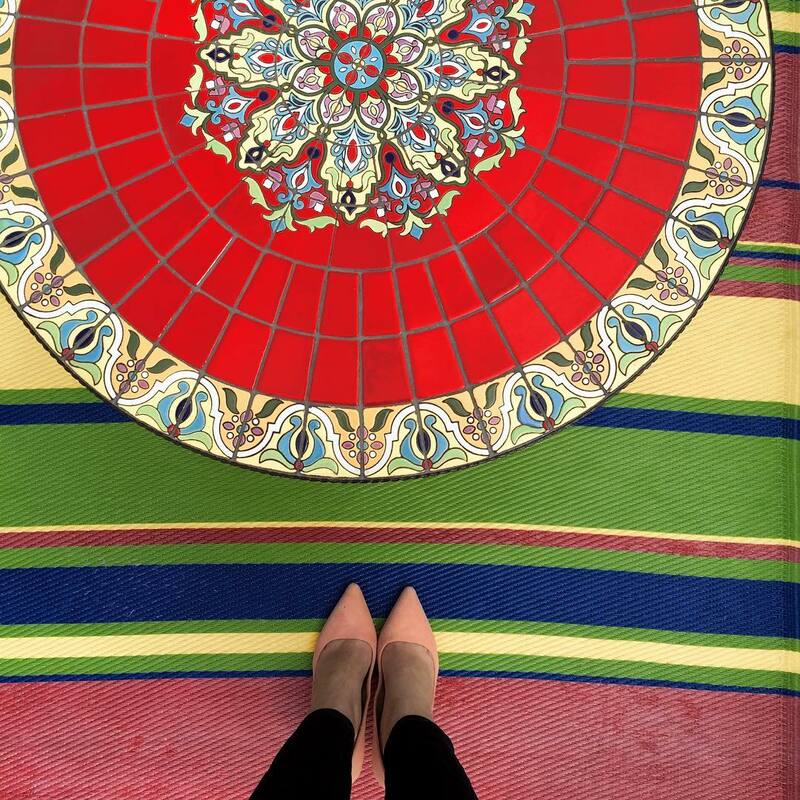 Ver nice post, i love your blog! I bought the bumble and bumble one and returned it. I used dry shampoo a lot and this one is good in the residue department but not the texture department. It make my hair feel like it was sprayed with hair spray and it's not a cheap product. I love the Mac powder! It's so good for oily skin! Love this product roundup! I need something new for hair, skin, and nails. I had a similar issue with mine as well! I use NARS finishing powder and I swear by it. It is the least gritty and most translucent powder I have ever used! Also, I use baby powder. A few taps and no white residue. Let me know how you like the L'Oreal Makeup Extender Setting Spray - if it works than that's an amazing product for a great price!! loved the following (and blogged on 'em): Humm, the spray (just shared it again! ), the orly. i just did a post that gets rid of the white cast. it really works and is something to try until you get to try this one. it's really good. I am a HUGE Bb fan and I can't believe I didn't know about that product! Can't wait to hear your thoughts on it and probably try it out myself! I'm dying to know if that L'Oreal works as good as the UD setting spray! Orly Bonder is great but Sephora brand has a "sticky" base coat that's even better!